Tomorrow, Oct 24, 2015) is Global Oneness Day. Well-known and beautiful luminaries will be leading a day long event calling on all to pray/meditate and link in energetically to bring forth a better planet focusing on the Oneness that connects all of us. In light of this day, Mother has asked me to put out another message from her. She loves that this Day is being organized and has a request or two. See below. Oh, my children, do you know how much I love you. I love you so, so much, in such a beautiful divine way. Your languages don’t have the words for the immensity and joy in the Quantum Divine Love I have for you. Please, my children, know that you chose to be here on me, Earth Mother, at this time. Know that these are powerful times of great shifting. There are energies coming in to me and affecting each and every one of you. And this is a good thing. It is needed for the birthing of the New World that I will be, that all of us will be. I want each and every one of you to help me in this birthing. I need you just as I need the sun for my plant babies to grow, and the dynamics of gravity for water to fall and run to the ocean. Creation and I, as your Planetary Caretaker, have coordinated the evolution of so much beauty and life on this planet. In this time of such rapid change, I need you all to do your work. I mean, do your emotional and spiritual work. Learn how to still your minds and discern between the fact and fiction in the story-telling of your mind. Come down in your heart. Don’t let your shadow self, or ego, or control issues take over. Don’t lash out at others unconsciously. Heal your inner wounded child. Let the Christ Consciousness into your hearts and spirit bodies and feel the Love. Know this Quantum Divine Love is there for all of you. Such huge, huge amazing Love. Then drop your energy down even lower and connect energetically with me. Drop your heart energy down to my heart in the very center of my being: the very center of Earth. I need you to connect with me with your spiritual work, just as much as Creator/God/Allah/Great Mystery/Great Divine Mother/source needs you to connect with her/him/it. I love you all so much. You are my beloved children. You can all learn how to be midwives for this New World coming in now. I need you to help me, to help all the beautiful spiritual beings who are supporting this shifting too. When you do your meditation circles, send love down to my heart. When you do your global prayers and meditation, send love down to me too. Please ground these prayers, these meditations. I need the spiritual energy too. My waters need the prayer energy, along with my winds, my tree people, my stone people, finned ones, and more. The whole web of life, all my beloved beings, need this spiritual energy. And if you ask them, they will join you too. Ask the trees (standing ones), stone people, and waters, all the beautiful beings in your community to join you in the prayer and meditation. They are very conscious ones, and would love to be invited. They yearn to be recognized again as part of the fabric of beautiful consciousness on me, your Earth Mother. You are all being called to be the midwives, the Spiritual Warriors, supporting this huge birthing process. Tap into me and I will help you find the courage and energy to do this. I love you all – beyond words! 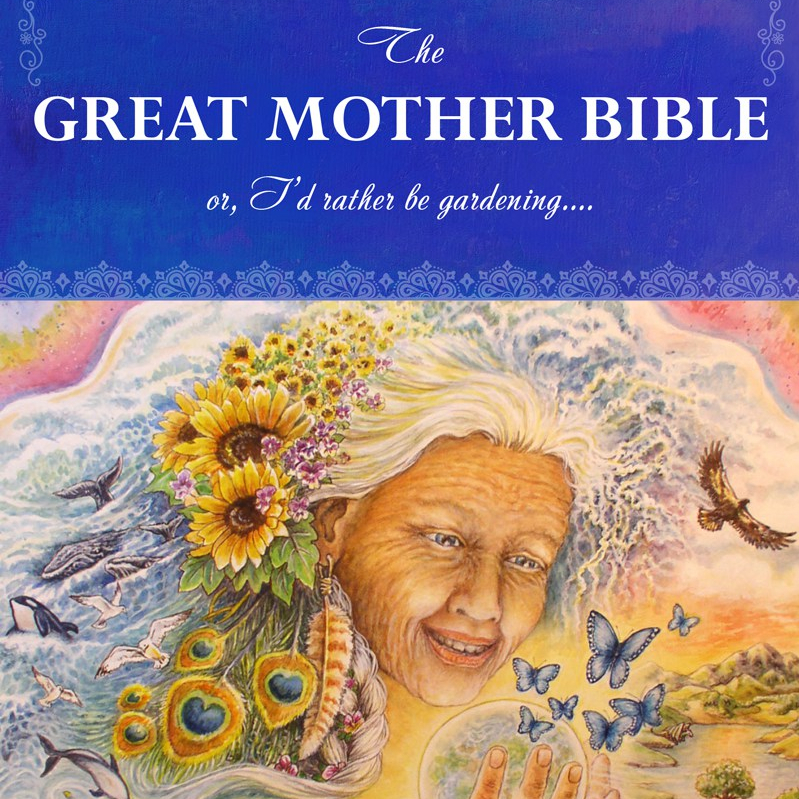 Note: I scheduled a Sacred Gardening workshop tomorrow and have several attendees coming. 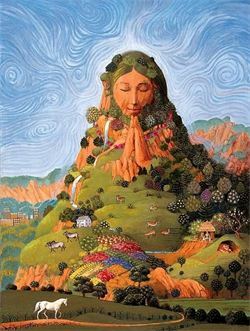 My work with Earth Mother (and the Great Divine Mother, and Virgin Mary) includes partnering with the Nature Spirits. I’ve already put a call out to them to connect with the Global Oneness Day. And asked some very gifted elders and others on other continents to connect in with their local Nature Spirits to join in, for this Oneness event. They (both the humans and Nature Spirits) have already put the word out globally and are keen to participate.